Okay, these cards are my fav of the week. Hands down! 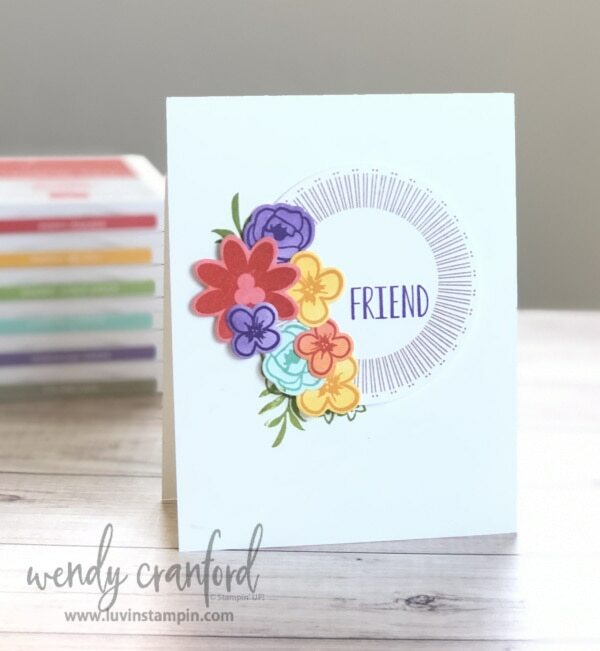 I featured the Bouquet Blooms Bundle at the beginning of the week, CLICK HERE, to see that blog post. I love love love how these cards turned out. Bright and cheery is my thing. I also love clean and simple. These cards fit all my criteria for the perfect card. I feel like the Bouquet Blooms bundle really didn’t get enough love. It’s in that annual catalog and sometimes those products just get overlooked really easy. 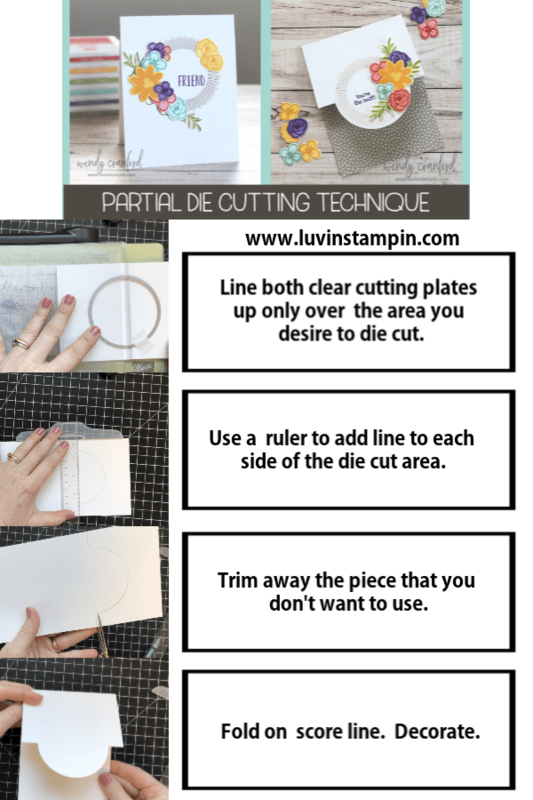 + To partially die cut, use your cutting plates only covering the area that you want to cut. 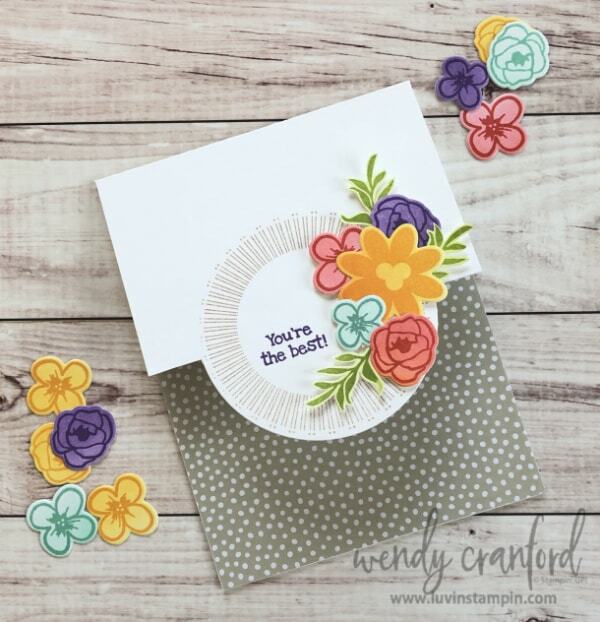 + Use the Layering Circle framelits to cut the stamped circular image out. Supplies I used on this card are listed below. Click on any of the images to purchase them in my online store. Beautiful card. I love that press and seal-is that sold like wax paper? What a great time saver-I do it the hard way and hope I placed the flowers how I wanted them! 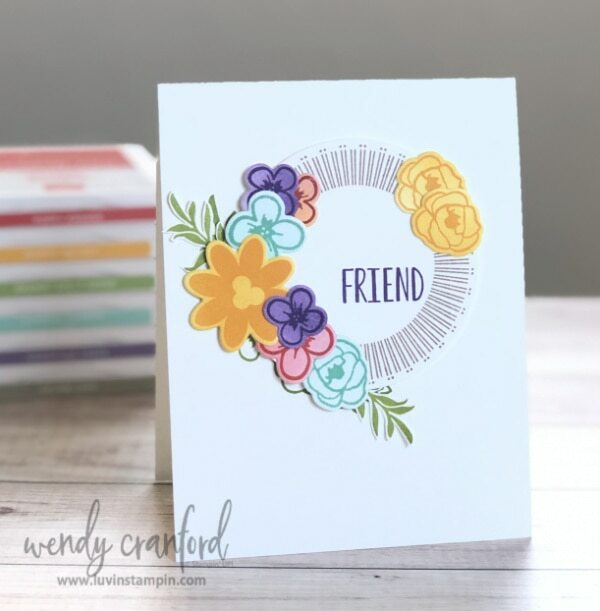 Thanks Wendy, I’ve never seen anyone use Press and Seal, how clever! 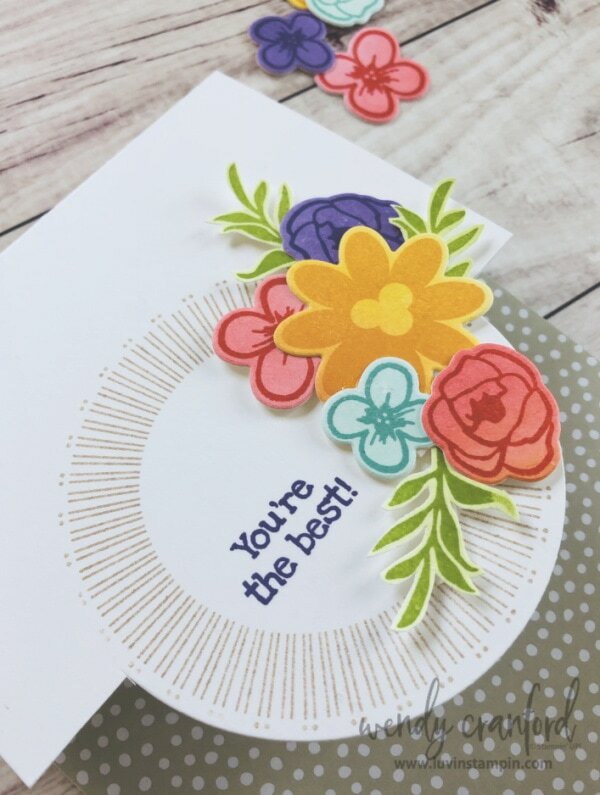 Also loved the tip on coloring for flowers and die cutting. Three tips in one video for an awesome card. Wendy, really like this card. Thank you for the videp tutorial. Were you aware that Jennifer McGuire’s husband was involved in the creation of the Press and Seal productl? Interesting connection with Jennifer’s involvement in the card industry.